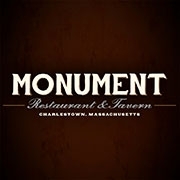 Monument is a neighborhood restaurant serving eclectic American fare in a relaxed, rustic setting. We offer lunch Monday-Friday, Brunch on Saturday & Sunday, and dinner 7 nights a week. ***Please be sure to notify us of any food allergies before sending your order*** Online Brunch/Lunch ordered must be submitted before 3pm. Dinner orders must be submitted before 10pm.